Few often do you find a model who is just as real on camera as she is off camera. 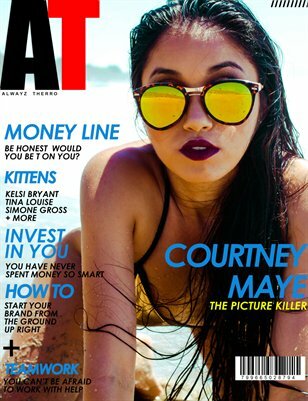 Well that's exactly what you get with our September 2014 Cover girl Courtney Maye. When asked about her plans for 2015 she gave us the perfect answer! "This year has been flying by so fast that I have barely had any time to think about next year. I want to be more adventurous in 2015, do new things, travel and experience other cultures. I feel like im at a time in my life where everyday I'm learning new things about myself. I really want to emphasize on that and maximize my growth."